Strutmasters 1997-1999 Cadillac Seville Deluxe 4 Wheel Air Suspension Conversion Kit is the perfect solution to your air suspension problems. Designed to be very affordable, you can convert your air suspension to use standard shocks/struts and coil springs for less than the price of replacing one air strut. 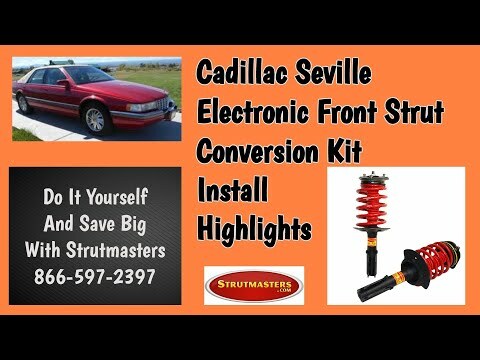 1997-1999 Cadillac Seville Deluxe 4 Wheel Air Suspension Conversion Kit (CA44FR) is the perfect solution to your air suspension problems. Designed to be very affordable, you can convert your air suspension to use standard. 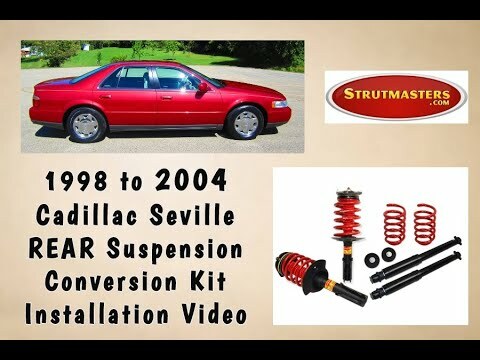 Our loyal customers tell us one of the main reasons they made the switch from the faulty air suspension system on their 1997-1999 Cadillac Seville to our air to non-air suspension conversion kit is the low price. But we are The Suspension Experts, and we only put the highest quality parts in our products. Our parts are more reliable than original direct replacements, and we back that up with our lifetime limited warranty. This kit, for your Seville, includes two pre-assembled complete front struts with premium springs, two premium rear shock absorbers and two premium coil springs. DIYers love the kit because it is installed in as little as one hour per wheel. 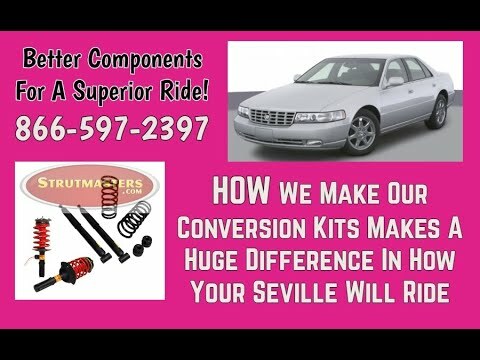 The kit eliminates the failed complicated electrical components of your air ride, saving you time, frustration, and a ton of money while still maintaining a comfortable ride. 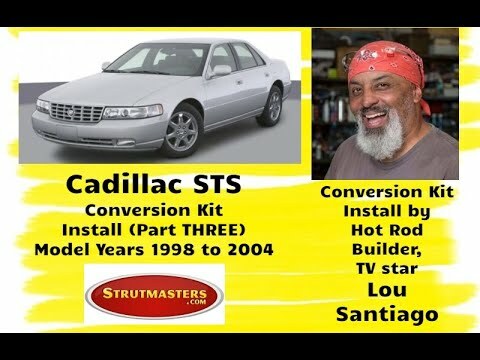 If it looks like your 1997-1999 Cadillac Seville is not meeting and maintaining its proper ride height, look for these common signs of a failed or leaking air suspension system. You want to properly diagnose a bad suspension before it is too late and total failure sets in. Once this happens, other major components will wear out in turn. The most common sign is a sudden uneven height difference between the right and left sides of the Seville. Typically the rear end is sagging while the front end remains inflated. This makes it look like the Seville is squatting down. There may be a lean from one side to the other. If there is an illuminated suspension warning light or message on the instrument panel, a bad suspension is likely. Also check the air compressor for signs it has stopped working or is running too often (it will be very loud and noisy in this case). If any of these signs present themselves, a repair or replacement is probably necessary in the near future. + Struts ($215/strut) + Coil Spring ($179/coil spring) + Shock Absorber ($265/shock absorber) + Compressor and Dryer Assembly ($235) = TOTAL: Over $1,550! (And that doesn't even include replacing electronic components that are known to fail such as the height sensors).